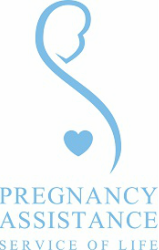 Stories from our clients - Pregnancy Assistance Inc. Perth WA Pregnancy Assistance Inc. Although the journey may be challenging at times and the pain is real, so is the HOPE. Have a look at the video clips below from a couple of our clients, and be assured that we at Pregnancy Assistance are here to support you in any way we can!